Mind the Bridge: Summer Startup School 2012: this is just the beginning! Summer Startup School 2012: this is just the beginning! The first 2012 Summer Edition of the MTB Startup School is nearly over! A few days after landing in San Francisco, our twelve students were welcomed at the MTB GYM incubator in the Steuart Tower @One Market Plaza, a building located right in front of the Ferry Building in one of the most vital areas of the city. The lessons began with a very charismatic and passionate welcome speech by Charles Versaggi, MTB Startup School Director and leader of our startup school program. Among the lessons that opened the program we had some introductory ones like Introduction to Silicon Valley by Marco Marinucci and Presentation Skills by Charles Versaggi and some really challenging modules like Writing your Value Proposition by Charles Versaggi, and Business Development by Matteo Fabiano. In addition to the Learning Sessions, we had the first of our planned “school trips” at Berkeley Lab, one of the best research programs in the world. 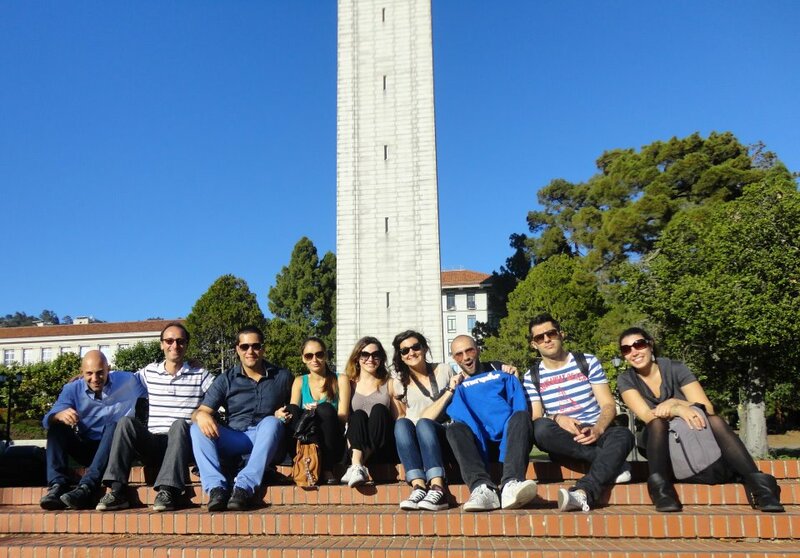 After an interesting presentation by our special guide Alessandro Ratti, Project Manager at Lawrence Berkeley National Laboratory, and a visit to the Lab, we had a super pleasant walk in the campus in a really warm and sunny day followed by a highly beery dinner. During the second week we had 10+ super interesting modules held by some of our Mentors, between them The Venture Capital Process by Marco Marinucci, Intellectual Property Rights by Vijay Toke, Drivers of Silicon Valley Success by Gigi Wang and others mostly on legal aspects and marketing strategies. To recover from this challenging week we organised a really relaxing trip to Santa Cruz on Sunday: good food, beach and rollercoaster, such a great day! We began the third week by watching a baseball game (go Giants!). We are now all really excited to see what’s going to happen these last few days in this San Franciscan experience. In addition to the modules scheduled (a special thanks to Loris Degioanni, Jim Mayock and James Robert) some exciting visits to the “must see” of the Silicon Valley are planned: Microsft BizSpark, Googleplex, Noventi, VWware, LinkedIn, Panasonic… And if that wasn’t enough to make our week the last Gym session will take place followed by the graduation party! If this video made you curious about what’s going on at the MTB Startup School (BTW the Mangatar Team is doing a great job by video-recording their experience here), follow us on our MTB GYM group on Facebook or on Twitter #MTBStartupSchool. This is only the first edition of this Summer 2012. The next one (already sold out) will begin the 6th of August, followed by the September edition (beginning on Monday 3rd). Hurry up, we have the last few spots available! If you want to participate, send us your application at startupschool@mindthebridge.org. Here you can find more information. If this haven’t convinced you yet, September is supposed to be the warmest month of the year in San Francisco, one more reason to apply!